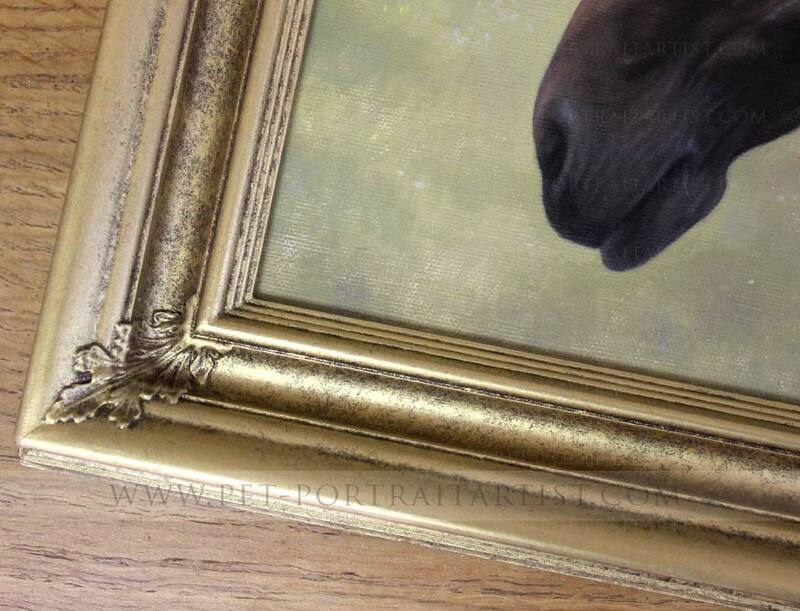 A very special horse pet paintings commission for a very special birthday surprise! 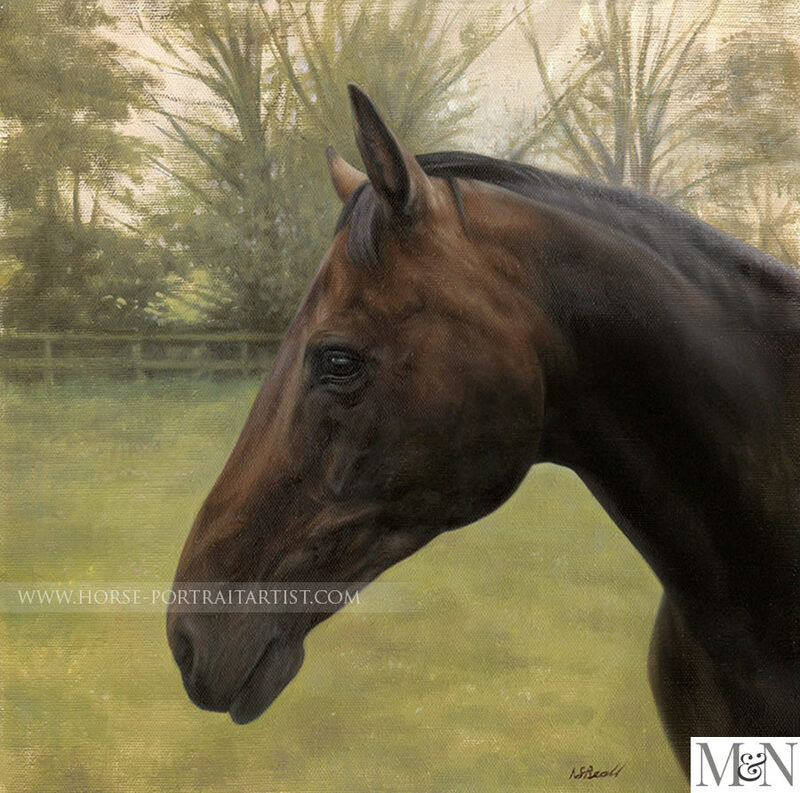 Welcome to the painting of Kewlia, a beautiful horse with a warm early morning sunshiny background. 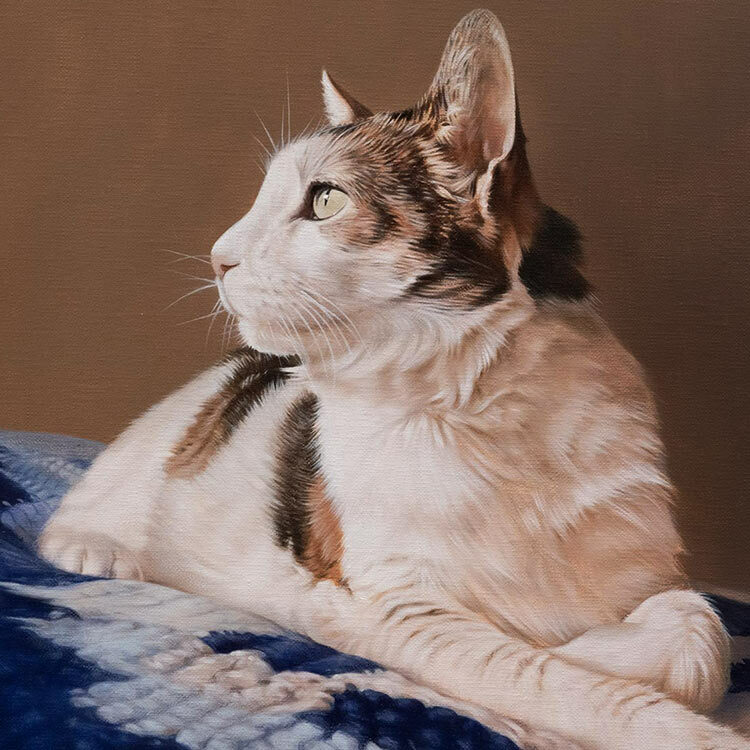 The painting was traditionally hand painted in oils on Italian linen canvas by equine artist Nicholas Beall form his dedicated art studio in the heart of rural UK. He accepts commissions worldwide and has worked with some wonderful and prestigious clients from far and wide. We hope you enjoy reading about the commission of Kewlia below and if you would share our page using the buttons we would be delighted! Rosemary Cunningham telephoned our studio enquiring about our horse pet paintings. Rosemary wanted to commission Nicholas to paint her daughters horse Kewlia as a surprise gift in 2015. Rosemary emailed us with a wide range of photos to work with, one which you can see on the left. She asked if the background could be brightened up to look like an early sunny morning, which as you can see Nicholas has achieved beautifully. Nicholas painted Kewlia at 14 x 14 size in oils on gallery wrap Italian linen canvas stretched professionally on hardwood stretcher - tupliwood. 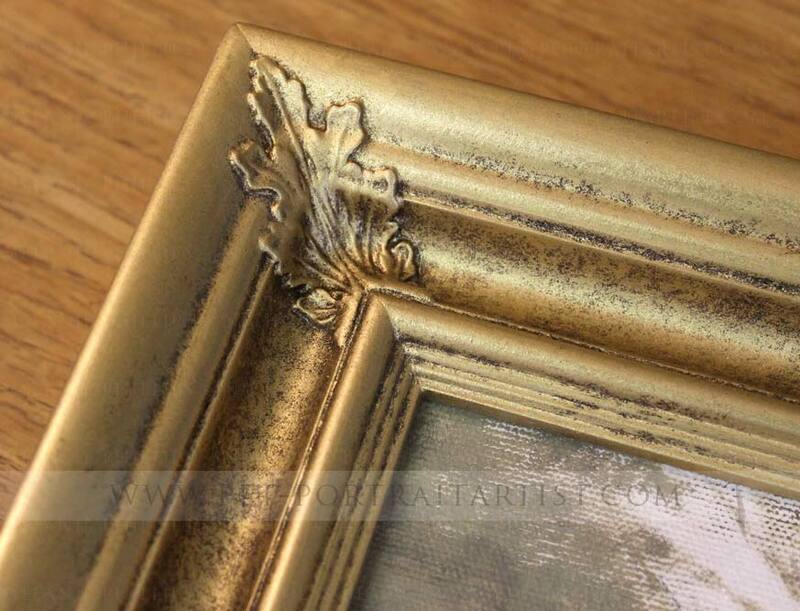 Rosemary also ordered a swept frame form our framers which complimented the painting beautifully. You can see some close up photos of the painting framed below. Well I couldn't wait, so I was meeting Lucy and her husband for supper last night, so I got there early and placed the painting on the wall behind where I was sat, at first she didn't see it then she sat down and said ' I don't believe it' ...kept on saying it she was absolutely over the moon, everyone who was eating in that restaurant were all coming over to it and they all thought it was wonderful, so thank you again, will send you photos soon of it in situ which will be a couple of weeks as they are going to Mexico tonight so be touch soon. She arrived safely, I can't tell you how much I love it you have really captured Kewlia, i can't wait to see my daughters face when she sees the painting she has no idea, but her husband who sent the photo that you used has been following the progress and thinks it's magnificent as I do, I can't thank you enough, I have to save up now to have my dogs painted. I will let you know her reaction and send you a photo of it certainly when it is in situ.Thank you so much I just love it. 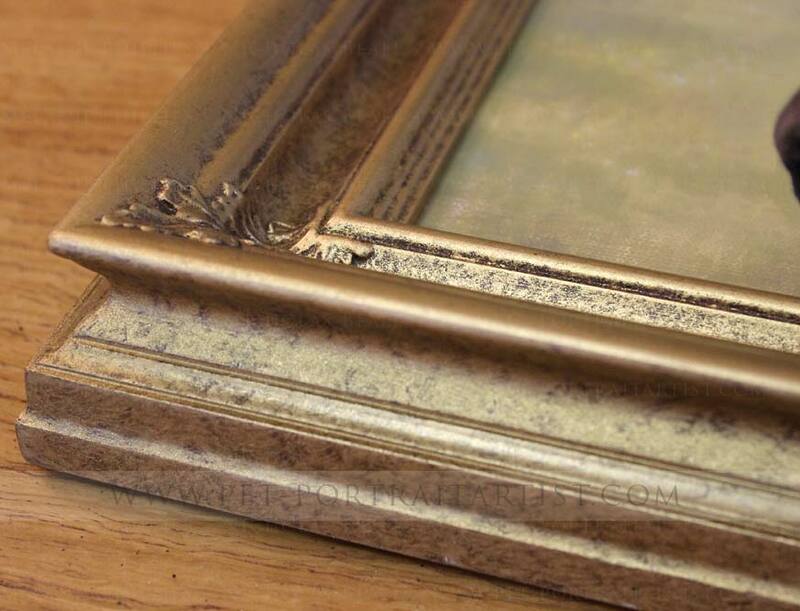 We work with two wonderful framers and in particular, one that hand crafts their frames and can make any design bespoke. If you would like a frame similar to this, please do email us and let us know your ideas and we can work with you in conjunction with our framer to make the perfect frame for you. Wasn’t the testimonial story fantastic! If you have missed it, scroll up to read it. The first testimonial. 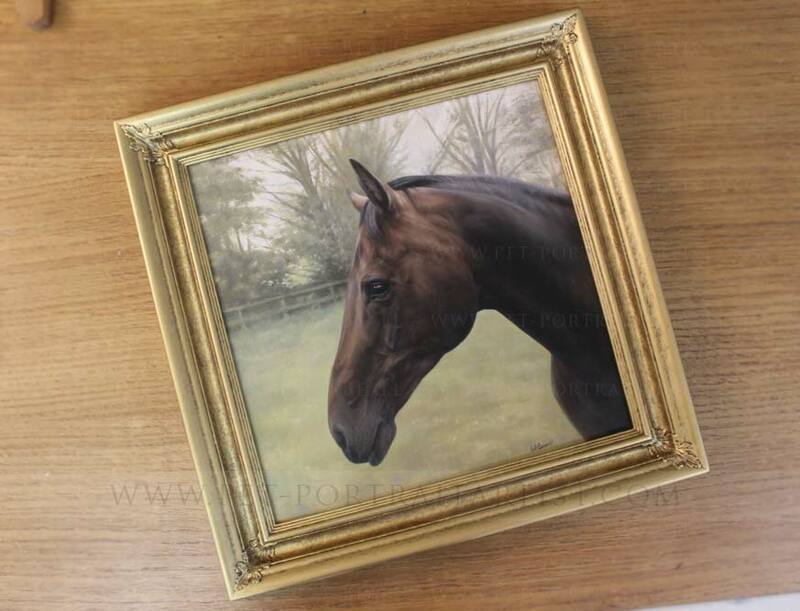 I hope you have enjoyed this page of information on Nicholas' horse pet paintings and if you would like to commission a portrait of your horse, please do email us at any time. 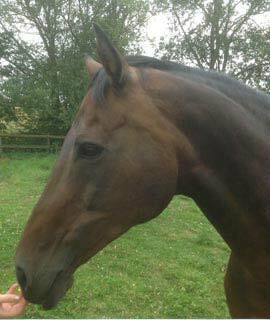 You can contact us by visiting our Horse portraits contact page.